"I spent 5 years in the foundation repair and basement waterproofing industry. I was trained and certified by the 2 largest manufacturers in the world (Basement Systems Inc. and Foundation SupportWorks). I was successful, BUT, I was frustrated." I went through a couple of months in early 2017, where I was constantly having to educate my clients (1-2 per week), that had just purchased a new home, that the home they had just spent their life savings on, needed substantial foundation repair or waterproofing, to correct an issue that was not new. Unfortunately, the homeowners had been given an inspection report that stated there were no structural deficiencies or water intrusion. It made me so mad that there were no consequences or accountability on these inspectors. I could not believe that anyone could go home to their family and knowingly sign off on such obvious signs and symptoms. That's when I found out that all inspectors are not the same. so, With that, I quit my job of five years and started studying. 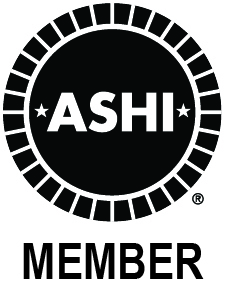 I have passed the certifications and requirements of InterNACHI and ASHI. I will continue my education for the remainder of my career. I will provide an honest, accurate, and thorough inspection of any home I am permitted to inspect, and will do so, as though MY family were moving in.